In this lesson, we'll be taking 5 open guitar chords that you already know and turning them into 85 chords. This may sound crazy, but just by learning how to move these chord shapes around, you can turn them into any other chord you want. 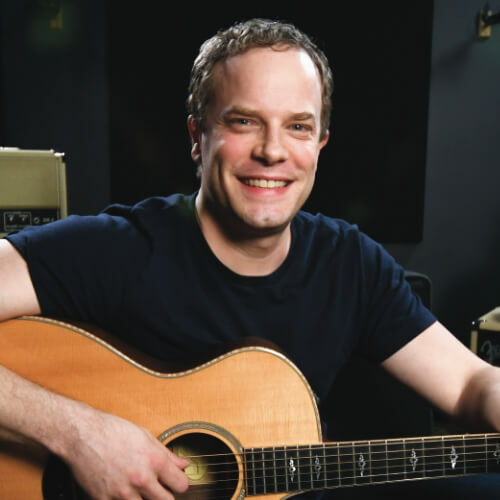 Before getting into this lesson, you'll want to have some basic chords under your belt and at least a bit of knowledge about music theory. 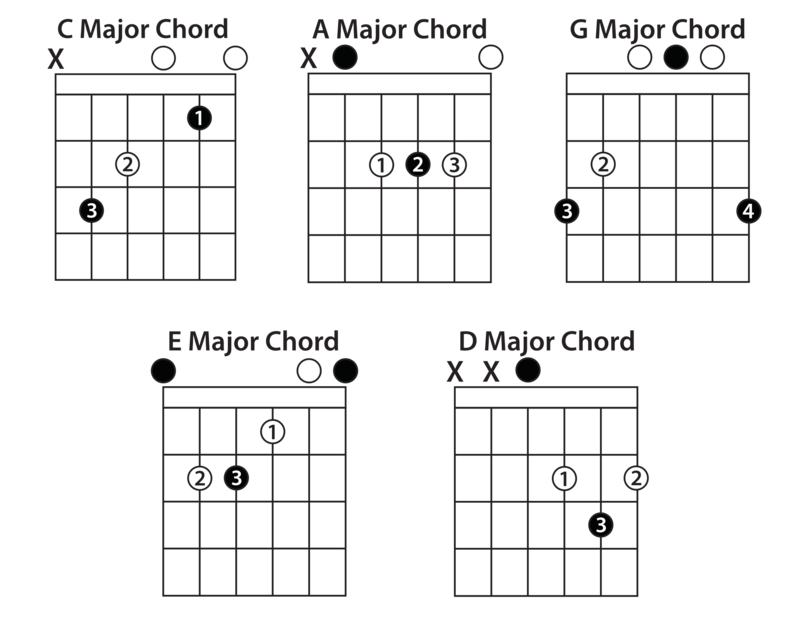 The chords we'll be using to do this are the C major chord, A major chord, G major chord, E major chord, and D major chord. Make sure you know these shapes well so we can get into moving them around. If you've been playing guitar for a while, you probably already know what bar chords are. When you make a bar chord, all you're doing is moving around an open chord and using a bar to compensate for the open strings. The two types of bar chords you might already use are made out of the E major and A major shapes. To use the C, G, and D shapes, we have to make a few adjustments. This is because barring while making these shapes is just too awkward. So we'll use some smaller shapes instead. Once you've got the hang of the shapes, you can start trying to move these new shapes. Move the shapes and whichever note the root notes land on will be the name of the chord. Try doing this with all 5 shapes and get used to these new chord voicings. Adding them to your tool belt will give you plenty more musical options when you're choosing your chords.